MCB HAWAII — Cpl. 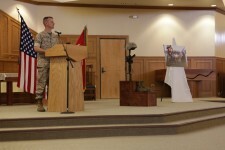 Joshua Sievers smiles, remembering a Sunday airsoft game with a “cool guy” — Lance Cpl. Marc L. Plotts. 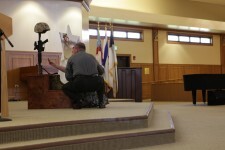 But despite reminiscing happier times, a sadness hung over 3rd Battalion, 3rd Marine Regiment attending a memorial service at the Base Chapel April 15 — gearing up for deployment one man short. 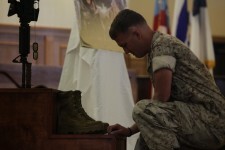 Plotts, from Fredericksburg, Va., died March 30 here at Marine Corps Base Hawaii. 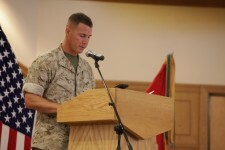 He enlisted after graduating from Stafford Senior High School in June 2007, following in his mother and grandfather’s footsteps in the Corps. 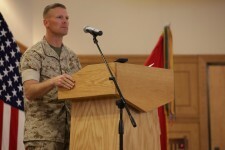 After graduating from Marine Corps Recruit Depot – Parris Island, and training at the School of Infantry – East, Plotts, a mortarman, was stationed aboard Marine Corps Base Hawaii with 3/3. 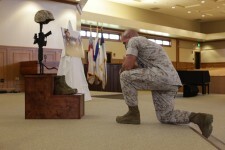 He deployed to Al Fallujah, Iraq in April last year as a machine gunner and rifleman. Plotts was awarded the National Defense Service Medal, Iraq Campaign Medal, Global War on Terrorism Service Medal, and Sea Service Deployment Ribbon. 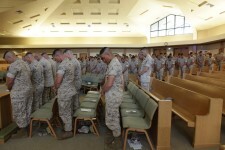 Lance Cpl. 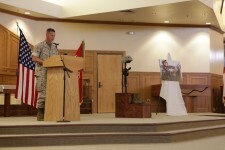 Jason Karch, a mortarman for 3/3, from Chicago, and Sievers, an anti-tank missileman, 3/3, were good friends with Plotts, and spoke at the memorial. “He could always make anyone laugh,” Sievers said. Karch said Plotts used to enjoy playing music, particularly the guitar. 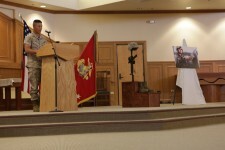 “It’s just unfortunate that something like this would happen because we were all looking forward to deploying with him again,” Karch said. 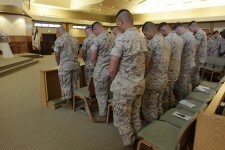 Lance Cpl. 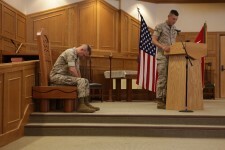 Jesus Oliver and Pfc. 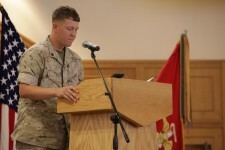 Daniel Hall, junior Marines mentored by Plotts, read scripture verses at the memorial. Both said Plotts encouraged them to improve their gun skill. They said Plotts had a love for machine guns. 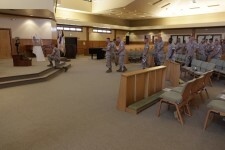 “He was enthusiastic about teaching us everything he knew,” said Hall, a mortarman, for 3/3, from Littleton, Colo.
Oliver, from Sacramento, met Plotts in January at Pohakuloa Training Area on the Big Island of Hawaii. He said he considered Plotts to be like an older brother than merely their leader. Plotts even introduced them to Cosmopolitan magazine. “Real men read Cosmo,” Plotts once said to them, calling the magazine “mindbending,” and an opportunity to understand a woman’s mind. 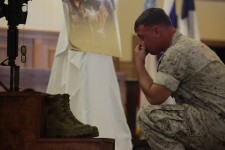 The Marines of 3/3 were then called to attention, their feet together, their faces straight ahead. 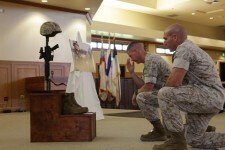 Plotts’ name was called, but there was no answer, and TAPS followed. The service came to a close as “My Immortal,” by Evanescence played softly in the background. 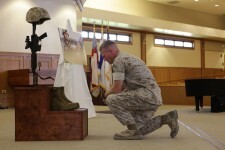 Plotts’ family approached the small wooden stand, containing a helmet, boots, a rifle, and his shiny dog tags. 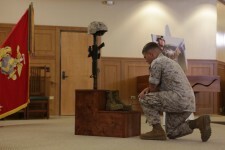 One by one, each Marine followed suit, offering a silent tap to the boot, or a gentle tap to the helmet, as if Plotts were there wearing it.